Through the years, we at Cosmo have been publishing pro-curl articles and videos, and we're happy to report that there is now more love for curly gals! In mid-2018, a Facebook support group for kulot Pinays was created. Meet the empowered women of Curly Girls Philippines. Ria Fernandez, 32, is originally from Cebu City and was born with natural curls. She is now a multimedia developer based in Melbourne, but visits Manila every year. Like most Pinays who struggled with a childhood of taunts for having curly hair, Ria thought that she needed to straighten her hair to fit in and to make the mean remarks stop. "I started brushing my hair straight (or what I thought was straight) when I was nine years old," she shared. "It reached a point of irreversible damage, so I decided to chop it all off and sport a pixie cut throughout my college years. After growing it out, I bleached and colored it regularly until it became a big, dry pile of frizz sitting on my head." One night in 2018, Ria took a good look at her damaged hair in the mirror and decided to do something about it. She Googled "how to care for curls." Lorraine Massey’s Curly Girl: The Handbook stood out from the sea of tips. It discussed the Curly Girl Method (CGM) extensively (we'll discuss more of this later! ), and the rest is history. Who are the members of Curly Girls Phillippines? When Ria started her journey with the CGM, she regularly posted the results on Facebook. "Before I knew it, my inbox starting filling up with messages from friends and relatives asking how I did it," she said. To avoid repeating her lengthy answers, she launched a Facebook group in August 2018. 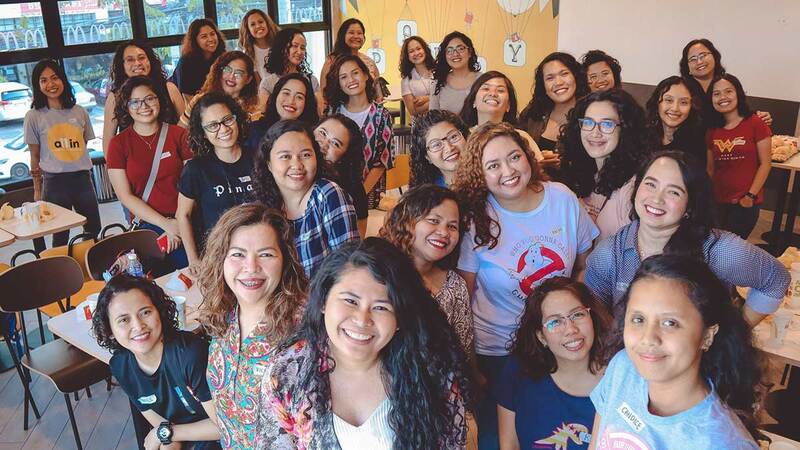 Curly Girls Philippines (public page) now has 3,165 likes and counting, while Curly Girls Philippines: Community for the Curly Girl Method (private support group) has 6,680 members and counting. Ria and her moderators—all curly, of course!—keep tabs on the daily discussions of their group of kulot Pinays, not just here in the Philippines, but from around the world. "The growth and support have been overwhelming," Ria said. "We cultivate a culture of kindness, acceptance, and positivity. I have not once ever seen any fighting or negativity [in the group]." Topics range from curly girl (CG)-approved products and hairstylists, updates on product sales, kulots sharing their struggles, to members giving each other advice on their hair care journey. It’s amazing to see all the before-and-after photos—from unruly and damaged 'dos to luscious, fabulous curls. 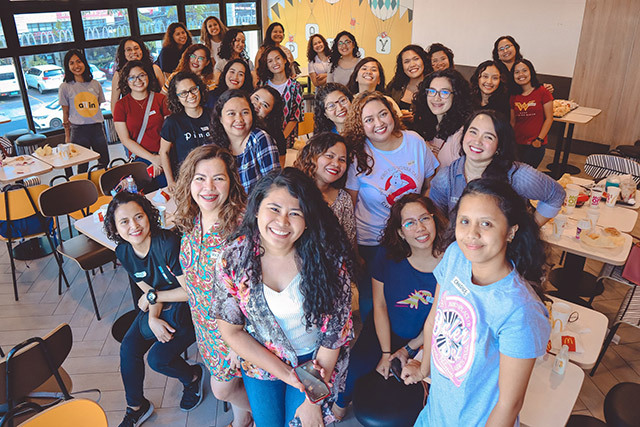 They even organized their first Curly Girls Meetup in Manila in March 2019! There’s a Cebu meetup coming this June. Read on to learn more the insider tips we got from the cool girls of CGP! Are you a kulot Pinay who’s tired of rebonding and hating your locks? Are you looking for the secret to enhance your curl’s natural glory? Before anything else, you must figure out your curl type. To help you figure out which hair type (or combination) you have, visit Naturally Curly’s online guide here. You also need to know your hair porosity level to see which types of products work best for you. Take the porosity quiz here. For beginners, it’s best to see how your tendrils form while wet. For those who have reached the deep end of the black hole—dry, extra frizzy, overbrushed, and chemically damaged, you need to patiently wait for the natural curls to grow back and cut off the damaged part. Whatever your hair story is, you are not alone. There are thousands of curly-haired girls who spent years hating their hair, only to realize that they have fabulous curls—if only they discovered the right resources early! What are the most commonly used curly hair terms? What is the Curly Girl Method (CGM)? Co-founder of DevaCurl and “curly hair evangelist” Lorraine Massey published her bestseller, Curly Girl: The Handbook back 2011. It became a bible for curly-haired girls. While there are several ways to style and care for natural curls, Massey’s CGM has a universal appeal and long-term results. Co-wash (conditioner-wash) the scalp for at least three minutes, massaging in circular motions to remove dirt and build up. In lieu of co-washing, use a low-poo (CG-friendly shampoo) once every two weeks. Rinse out completely. Wash hair only one to two times a week. Apply deep conditioner to coat all hair strands. Cover with a plastic shower cap and leave on for 30 to 45 minutes under a heat cap. Rinse out completely. Treat only once a week. Rake a generous amount of silicone-free conditioner through very wet hair, and then make pulsing motions with hands to squish the product and water into the hair, keeping product away from the scalp. Depending how much moisture your hair needs, rinse out only some of the conditioner, or don’t rinse it out at all. Apply your favorite hair product (like gel) to soaking wet hair, making sure all hair is coated. Rake with fingers, and then scrunch. Use a hair dryer diffuser until dry and the hair product has formed a hard crunchy cast on the hair. When hair is 100 percent dry, Scrunch the hair until the hard cast is broken and the soft curls come out. Each curly girl is encouraged to customize a CGM that suits her lifestyle, and to experiment until she sees which products work best with her hair. What works for one girl may not necessarily work for another. For those who swear by CGM, it took weeks to months to see results. More than an instant makeover, the CGM is a routine to maintain healthy curls. Being a kulot girl myself and an active curly-haired talent in the modeling industry, this subject is close to my heart. I’ve been writing #CurlPower articles for the last 10 years, so I thought I knew all there is to know about the curl life. 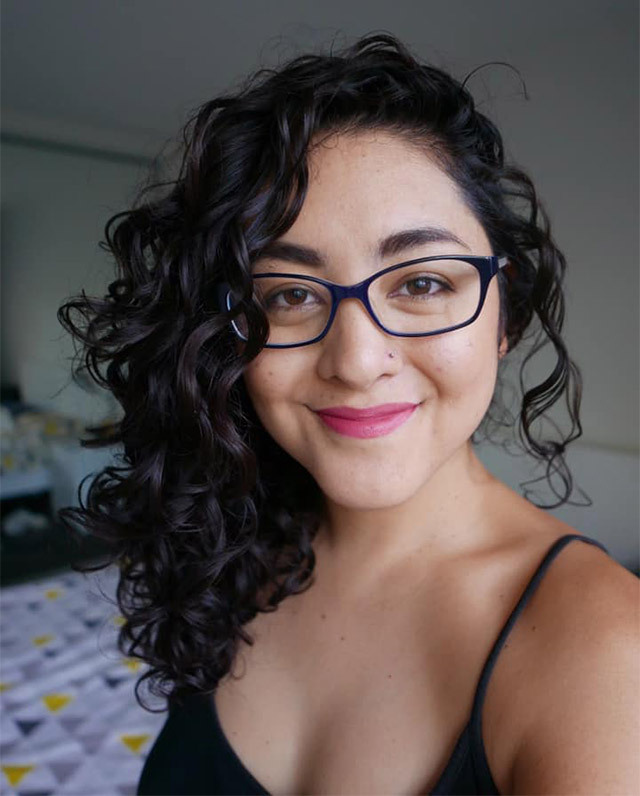 I’ve been using the twist method and plopping for years, plus other tips I got from my hairstylist cousin who specializes in curly hair in New York. 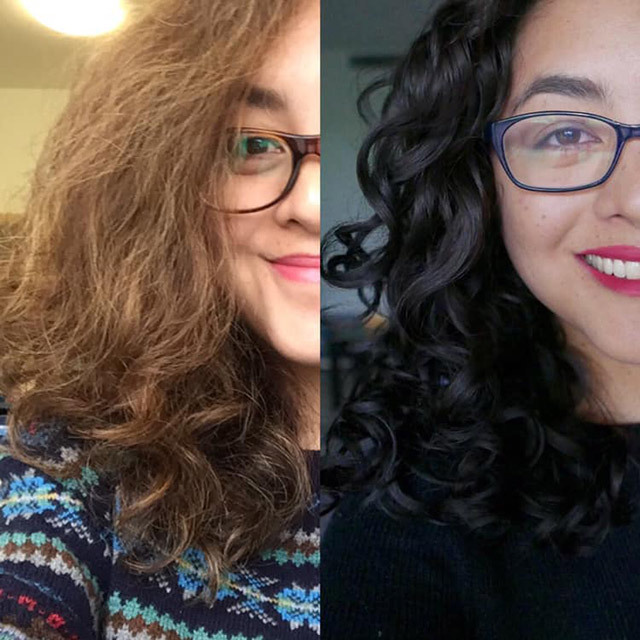 When I joined Curly Girls Philippines, it made me realize there’s still so much to learn! I remember incorporating some of the CGM techniques here and there without knowing that there’s a more extensive science to it, which I learned only this year. I realized that my curly mane has yet to reach its full potential. I’m happily rebooting my curl journey, thanks to Curly Girls Philippines, a loving and safe space for kulot Pinays. Follow Ria on Instagram and Curly Girls Philippines.